Horsham Lions Club: Bored? Looking for something fulfilling to do? Check us out! Bored? Looking for something fulfilling to do? Check us out! Bored? Tired of the same old stuff on TV? Looking for something fulfilling that you can do with your spare time? Come on out to visit us during our next meeting on Thursday September 3rd at 7pm at the Days Inn Horsham. We're preparing a presentation that explains what Lions are all about, and how you can help us help others. Dinner is on us, but we ask that you please RSVP. 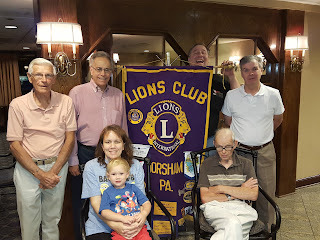 Send email to andy@horshamlions.com, or call 267-714-8884. Our fun little group would love to share with you the joys and satisfaction of giving back to your community!